Enjoyable review of the Big Brown Spaceship. I’d say you got it pretty spot-on with the amenities and lackluster exterior facade of the building (I guess they thought that was a good look in the early ’70’s). 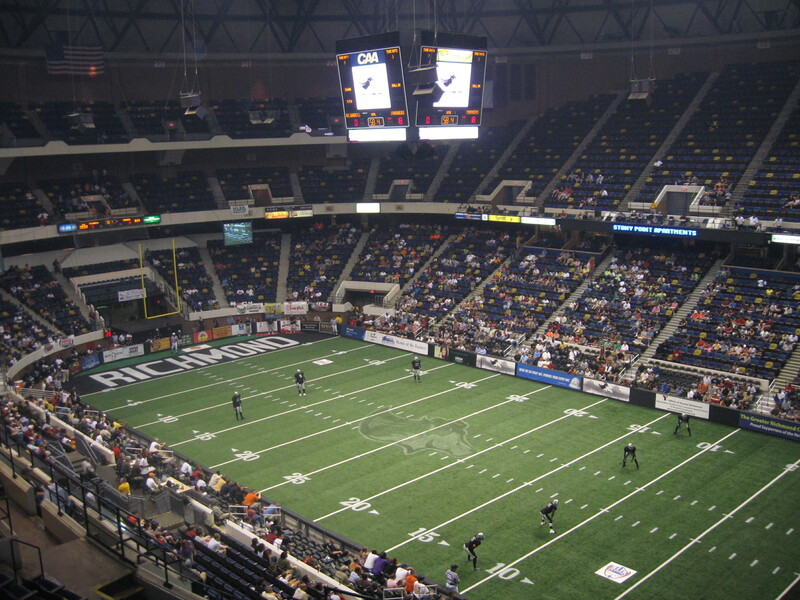 As a Richmonder who has attended countless events at the RC over the years (though never a Richmond Raiders game), I will say that it’s a bit unfortunate that your one experience was for an arena football game, mainly due to the lack of crowd size. 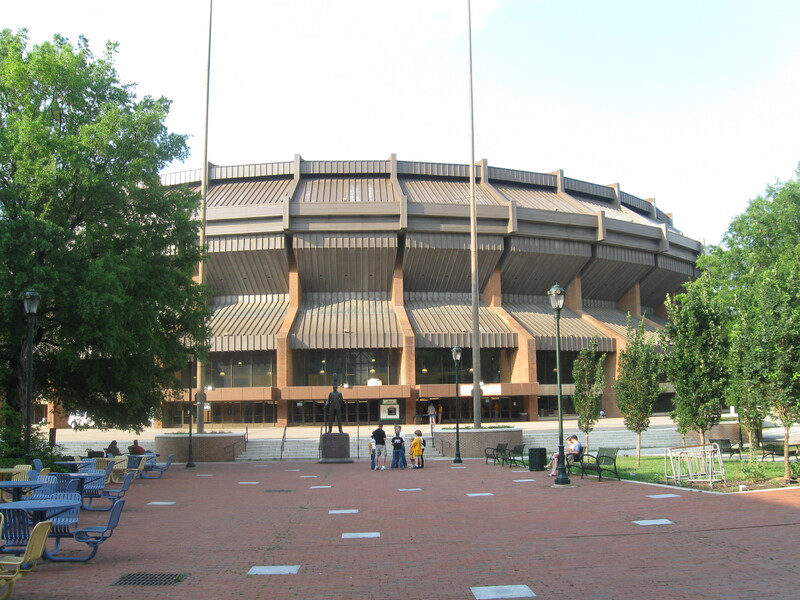 As noted, it had hosted the CAA men’s basketball tournament for quite some time, and that was really where the experience shined the most in recent years. The city and region has enjoyed a great college hoops tradition, much of which has been experienced at the Coliseum. Of course it has now been outdated for quite sometime and losing the CAA tourney a few years ago did not help matters. A quick comment on the pre-game prayer that was mentioned: I have never experienced this at any game of any kind, at the RC or anywhere else. 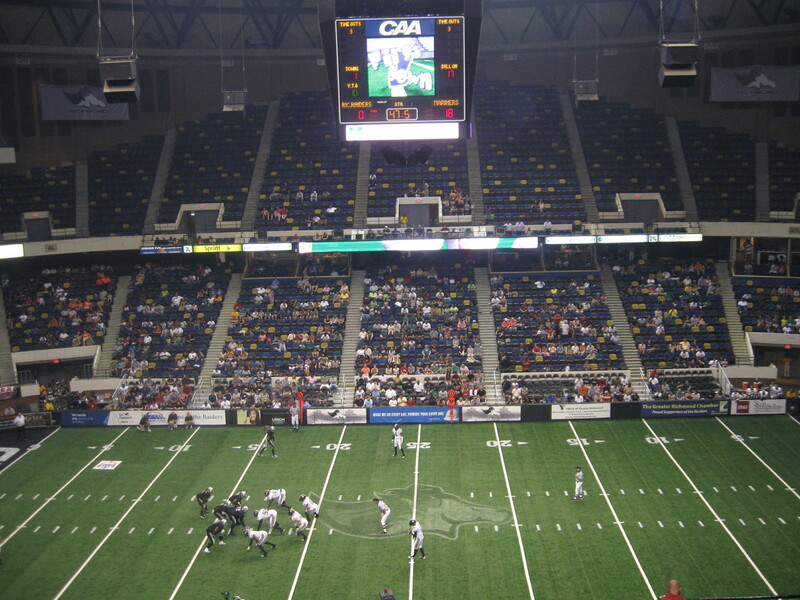 (Admittedly, I have never attended an arena football game either). So, I cannot vouch for it being a southern thing. I agree that experiencing that could be a bit awkward. Love the website and glad I stumbled across it! Hopefully in future Richmond travels you’ll get the opportunity to visit the Siegel Center (VCU) and Robins Center (UofR) for some high quality college hoops experiences!